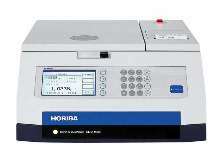 Hematology Analyzer processes up to 60 samples/hr. Infrared Thermometer simultaneously measures 64 points. Equipped with 64-element thermopile array sensor, I-Square 2D IR thermometer lets user view and verify temperature measurement subject/object on color LCD screen. Non-contact temperature measurement device saves temperature data and image on compact flash card and features simple operation. 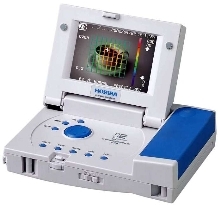 Sulfur Analyzer uses X-ray fluorescence technology. Model SLFA-2800 meets all ASTM-4294 requirements for sulfur in oil analysis. It measures any petroleum oil product from range of 5-100,000 ppm, and sample results are complete within minutes. 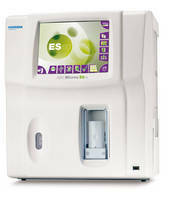 Analyzer measures particle size distribution. Mercury Monitor uses dry method to measure total mercury. Model DM-6 Continuous Mercury Emissions Monitor measures total mercury (elemental mercury and oxidized mercury) in stack gases from coal-fired power plants and incinerators. Since product does not require wet chemicals, it is capable of continuous, unattended operation.